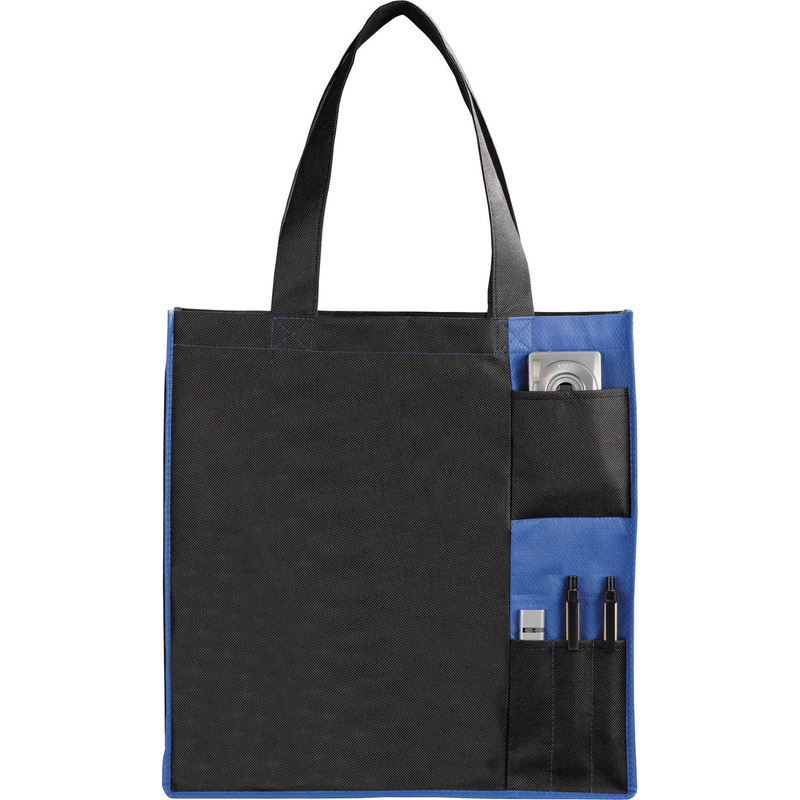 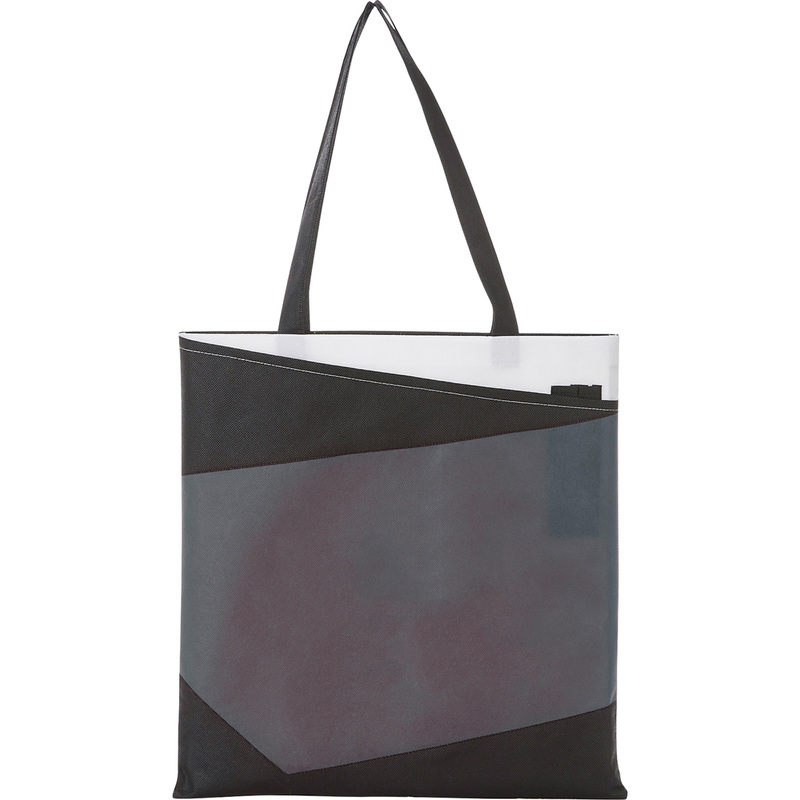 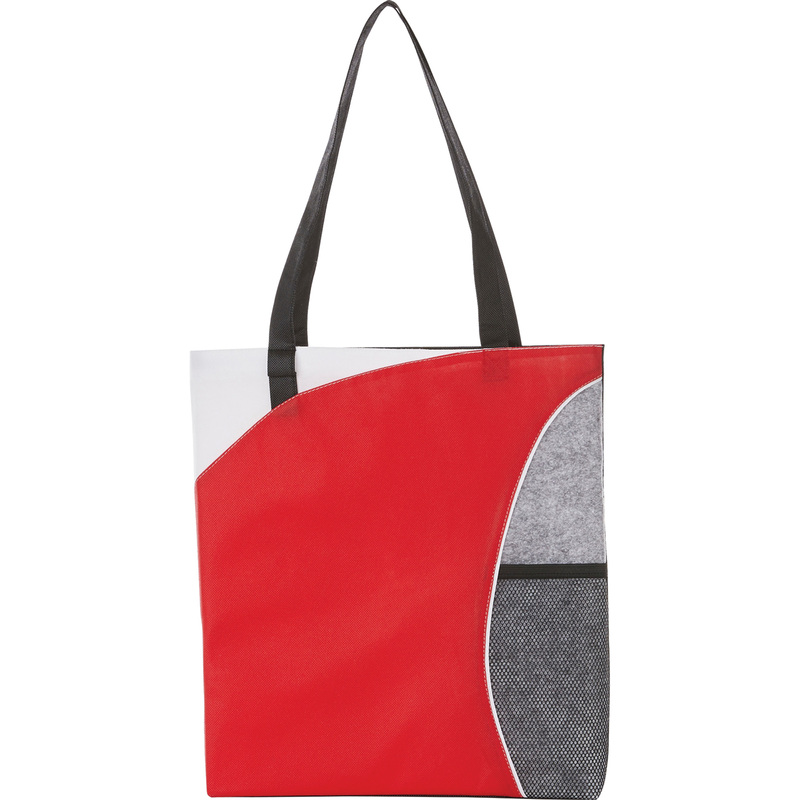 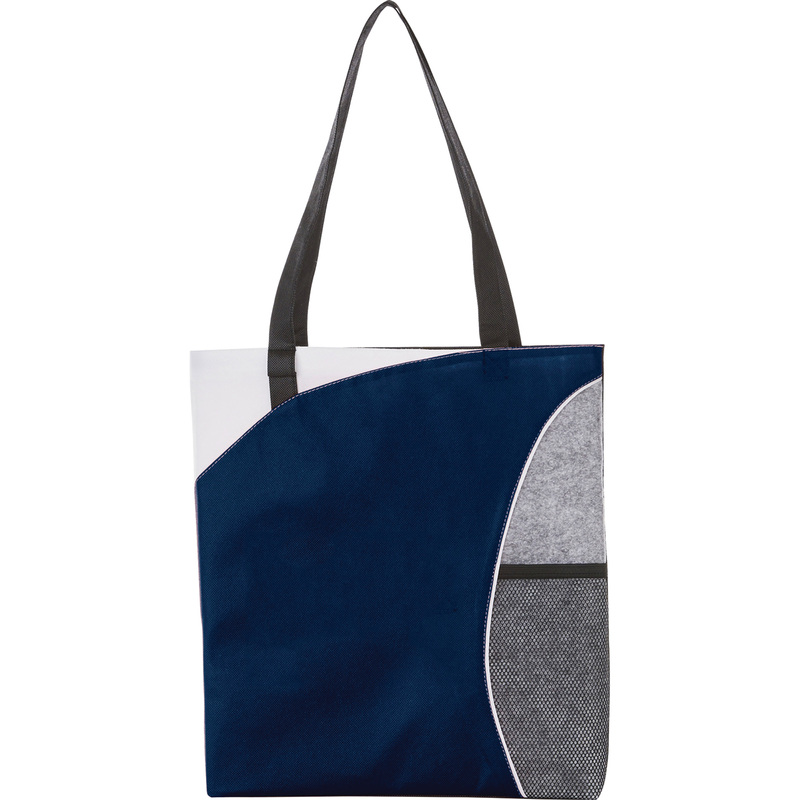 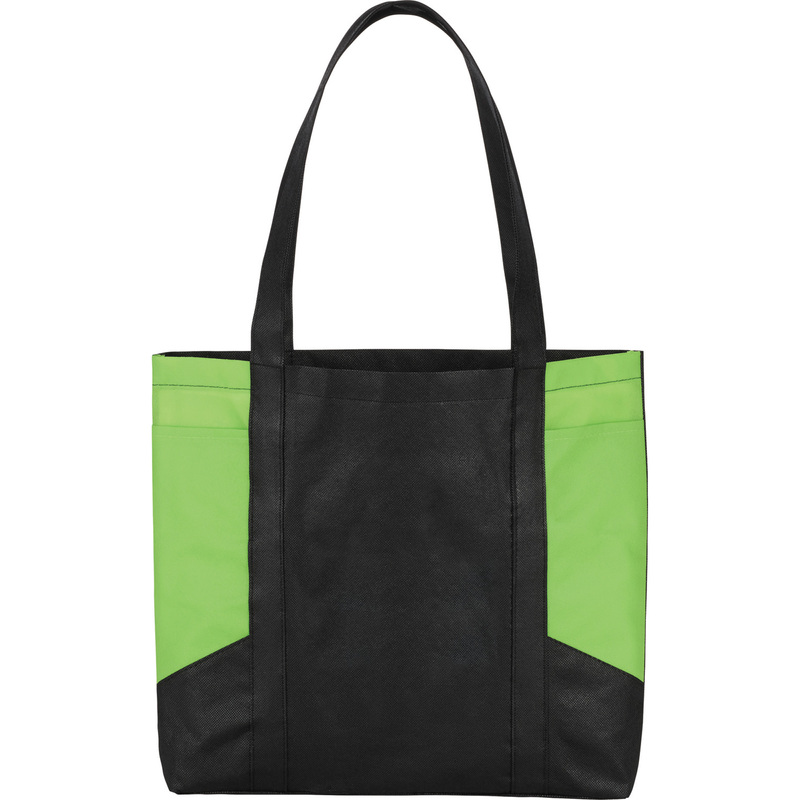 The LEEDS Mesh Pocket Non-Woven Convention Tote is great for tradeshows, conventions, and business meetings. 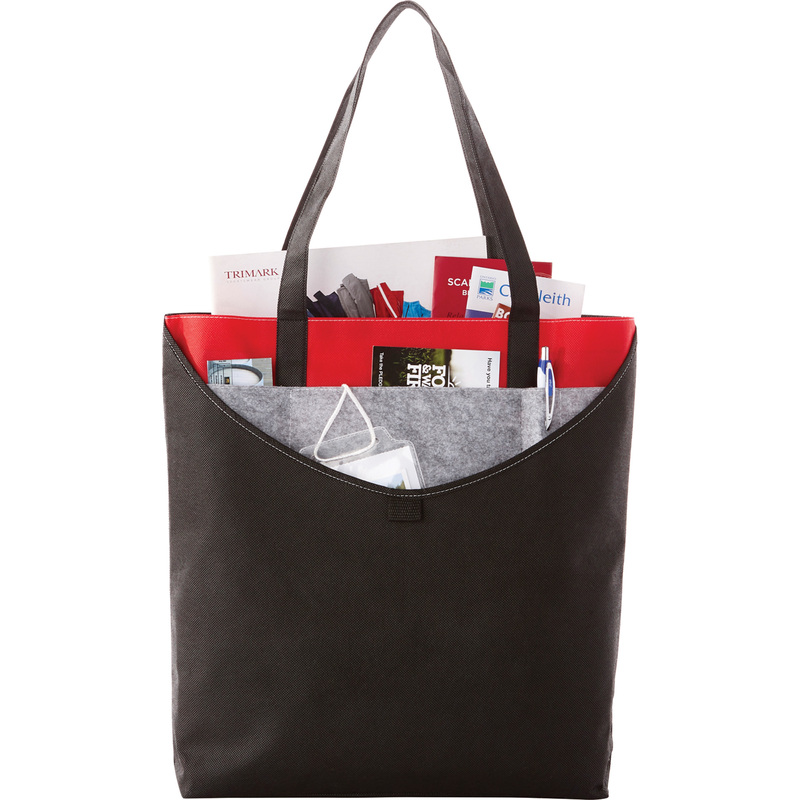 Open main compartment. Mesh water bottle side pocket and pen loop. 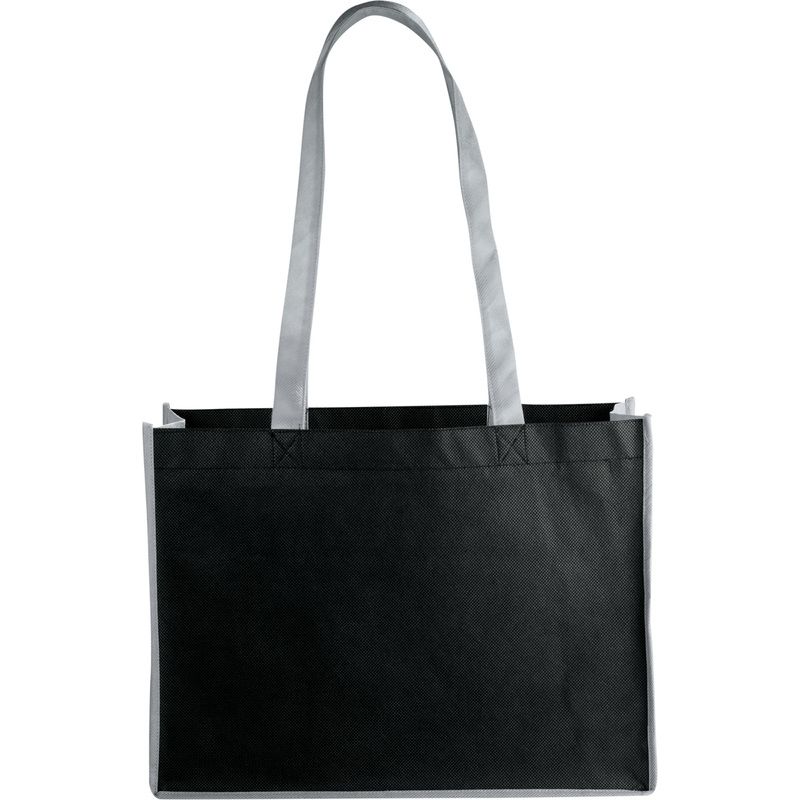 11" drop handles.